Ever since the IRS targeting scandal erupted last Spring, we have been fed incomplete and incorrect information regarding the laws that affect organizations that are used for advocacy purposes. The goal of this 3-part series is to correct many of these misstatements and half-truths while giving you a brief reference document that is useful to understanding the ongoing debates. It is important to note that the concepts we will address are not new. Actually, these legal concepts have been in existence and relatively unchanged for decades. Although these fundamental legal principles are widely understood and should not be controversial, from time to time, this otherwise arcane area of tax law erupts into a crisis that captures the public’s attention. Invariably the crisis is set off by politicians, and/or a political party seeking to manipulate the legal rules in order to provide themselves an advantage and, concomitantly, to disadvantage people with whom they disagree. The first basic principle that must be addressed is the difference between a “non-profit” organization and an organization that is considered to be “tax exempt.” An organization can be “non-profit” in form – but remain taxable. On the other hand, all “tax exempt” organizations in the United States must be non-profit in their basic form. When we say that an organization is a “non-profit,” we are not addressing whether or not it is taxable. We are simply saying that the organization has been organized to ensure that no “profits” are distributed to the owners of the organization. Although a “non-profit” doesn’t need to be a corporation, the best example to use in this discussion is a non-profit corporation. Filing Articles of Incorporation with the Ohio Secretary of State’s office is all that is necessary to create a non-profit corporation in Ohio. Those Articles must provide that no shareholder (individual or other business entity) will ever receive any profit from the corporation. Thus, this is simply a matter of state law. Upon filing, the non-profit corporation exists, just like any other form of corporation. In addition, the new non-profit corporation is taxed just like any other type of corporation. Although it is somewhat unusual, there are numerous non-profit corporations that remain taxable corporations, for a variety of reasons. However, if the non-profit corporation desires to achieve “tax exempt” status, it must file the required forms with the Internal Revenue Service to establish that it is entitled to be exempt from taxation. This determination is based upon the proposed activities of the non-profit corporation. How Does an Organization Become Tax Exempt? Prior to considering the garden variety types of organizations that qualify for tax exempt status, it is helpful to know that organizations that are primarily engaged in the promotion or opposition of political candidates are always tax exempt under Section 527 of the Internal Revenue Code. Section 527 tax-exempt status automatically applies to the following: candidate campaign committees; political parties; political action committees; SuperPACs; and other similar organizations. On the other hand even a non-profit organization cannot qualify as tax exempt under Section 527 unless it is devoted to candidate-related political activities. Section 501 of the Internal Revenue Code addresses the issues related to when other types of entities seek to qualify as a tax-exempt organization. In Section 501(c) there are over twenty different categories of organizations that can qualify as tax-exempt entities. One category of organization that is usually tax exempt is an entity that is organized and operated exclusively for religious, charitable, scientific testing for public safety, literary or educational purposes, to foster amateur sporting events, or to prevent cruelty to children or animals. These entities are deemed to be “public charities” because of their function. In addition to being tax exempt, as entities, a donation to a “public charity” is deductible by the donor. Another category of organization that is tax exempt is a business league or chamber or commerce, per IRC Section 501(c)(6). Similarly, a labor union is tax exempt pursuant to Section 501(c)(5). None of these commonly used tax exemptions are implicated in the current issues regarding the IRS and public advocacy groups. Moreover, in order to accomplish its social welfare goals, it has always been understood that a Section 501(c)(4) organization could be directly involved in candidate-related activities, as long as that political activity is not the “primary” purpose of the organization as provided in the 1959 regulations. Although there is an ongoing controversy over the definition of “primary,” lawyers that regularly create and counsel these organizations have historically advised them that this benchmark means that the organization must spend more than 50% of its time on non-candidate-related activities. 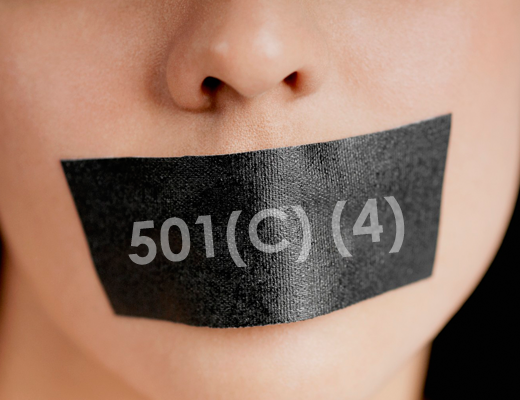 Nevertheless, despite these settled rules and understandings in this area, there is an unrelenting drumbeat of attacks on certain Section 501(c)(4) organizations that are engaging in precisely the type of behavior the law contemplates. In the next section we shall explore what these specific issues are, and why, and by whom, they are being raised. William M. Todd, Esq. is a prominent Republican lawyer engaged in private practice in Columbus. For over 30 years, he has been deeply involved in conservative causes including tax reform, tort reform, school choice, election reform, and pro-life related matters. His principal substantive expertise is in the field of health law and health system reform. RELATED on OCR: Read all articles by Bill Todd.